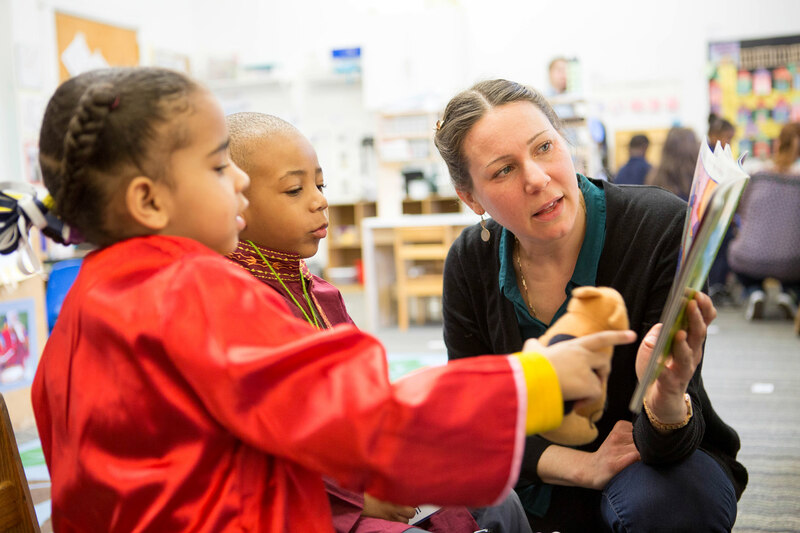 CLI receives 3-year grant from Pew Charitable Trust to support high quality Pre-K instruction in high-need communities. Children’s Literacy Initiative (CLI), a Philadelphia-based 501(c)(3) non-profit organization working with educators locally and nationally to get more children reading proficiently by 3rd grade, announces that it has been awarded a grant by The Pew Charitable Trusts to increase the number of Philadelphia-area pre-kindergarten classrooms offering quality early literacy instruction. The grant, totaling $186,000 over three years, will support the growth of high-quality child care centers serving high-need communities in the Philadelphia region. The funding will provide one classroom in each of nine Keystone STARS 3‐ranked centers with evidenced‐based training and in‐classroom coaching that align with the Pennsylvania Core Knowledge Competencies for early childhood and school‐age professionals, along with CLI’s pre‐k literacy curriculum, Blueprint for Early Literacy. Among teachers, CLI expects to see an increase in high‐quality classroom environment and literacy/teaching practices that are known to improve student learning. Among participating students, CLI expects to see improved (hearing) vocabulary. In addition, the project will create a cadre of highly skilled instructors who will be resources in their centers and help advance the skills of other teaching staff. The project has already garnered strategic support from multiple area non-profit and charitable organizations and individuals. For example, the Delaware Valley Association for the Education of Young Children (DVAEYC) and the United Way of Greater Philadelphia and New Jersey have committed to help CLI recruit, select and onboard the project’s nine child care centers. Additionally, philanthropic donors, including the Caroline S. Buck Foundation, The 25th Century Foundation and The Capital Group of Companies Foundation, have contributed to support the delivery of CLI’s Blueprint for Early Literacy curriculum to each project classroom. CLI will continue to expand the program through philanthropic support from Philadelphia-area foundations, corporations and private individuals so it can add additional classrooms to the project. Established in 1988, Children’s Literacy Initiative (CLI) is a national 501(c)(3) non-profit organization, headquartered in Philadelphia, that is focused on improving literacy instruction in public, charter and parochial schools to ensure that students can read by third grade. CLI’s program provides personalized coaching for teachers and principals, research-based literacy training, and the books and materials classrooms need so that students can become powerful readers, writers and thinkers. Third-party research has shown that CLI professional development model can improve both educators’ early literacy instruction and also student reading achievement. Connect with CLI on Twitter @CLIupdates, on Facebook at Facebook.com/ChildrensLiteracyInitiative and via http://www.cli.org.